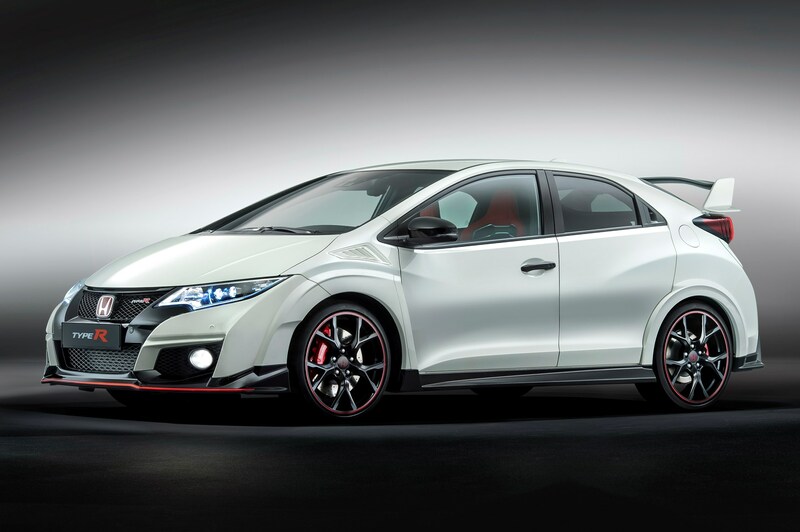 The aggressive machine you see in front of you is the third generation of Honda Civic Type R – a car that means business and makes no apologies about it. 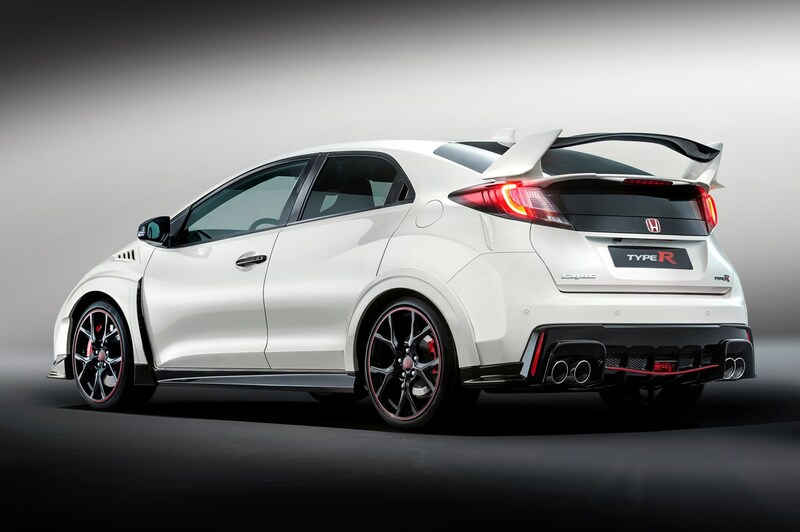 Built to take on the might of the forthcoming Ford Focus RS as well as the SEAT Leon Cupra and the Renaultsport Megane, this is the first Civic Type R with a turbocharged engine. That power unit is an advanced 2-litre affair, developing 306bhp and torque of 400Nm for a sprint from 0-62mph in 5.7 seconds with a top speed of 167mph. 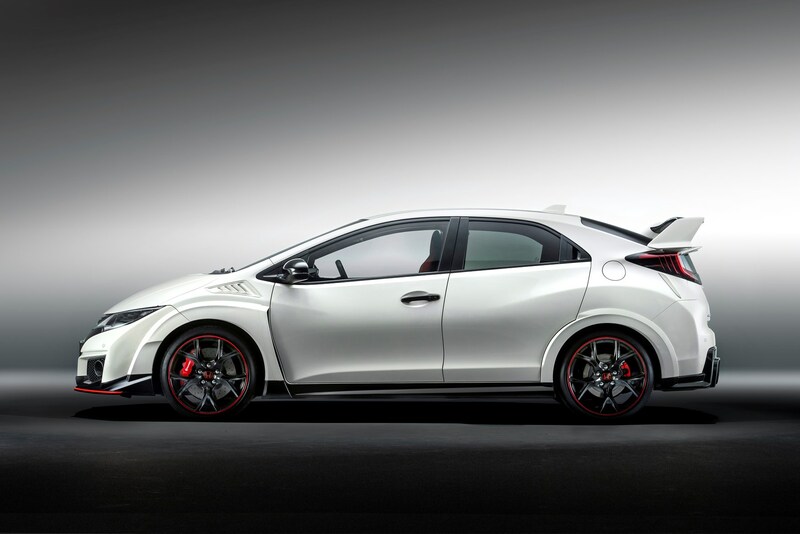 Honda claims this is also the fastest front-wheel drive hatchback currently on sale, and it’ll rev to a screaming 7,000rpm. That certainly sounds exciting to us. Power is sent through a six-speed manual gearbox which promises much: we’re huge fans of the gearshift on the regular Civic thanks to both the lever’s placement in the cabin and its slick, solid operation. The 19-inch alloys shouldn’t struggle too much for traction either, since Honda has completely re-worked the R’s front suspension to cope with all that power. 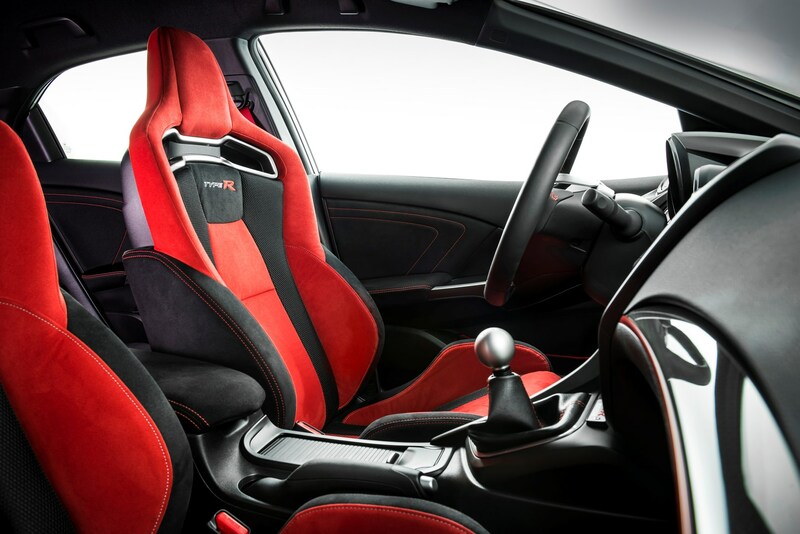 In fact, the entire car’s chassis has been overhauled for this high-performance hot hatch, complemented by a new brake system to get things back under control. 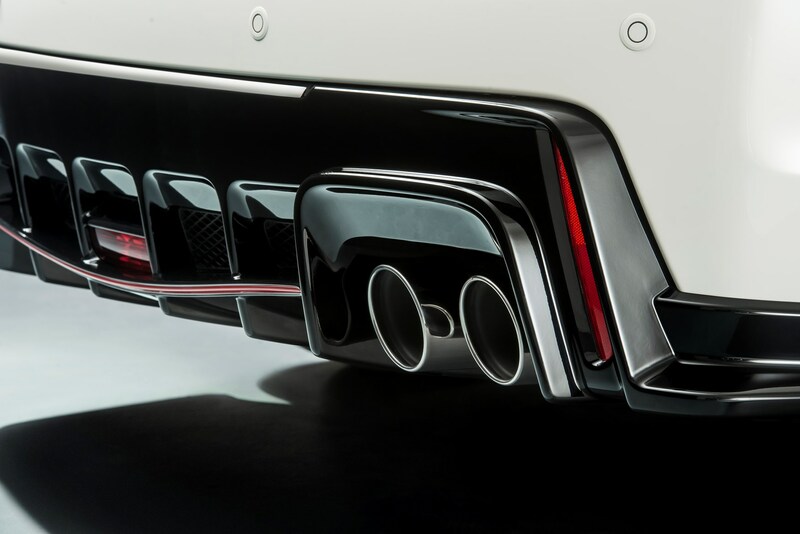 There is a set of adaptive dampers installed, which means the car will be ultra-firm and sporty when required by there’s the facility to dial things back a bit for everyday driving. It’s a similar story with the electronic power steering. All you do is press the ‘R+’ button and the car’s full fury is unleashed. And it’s not just the underneath that’s been optimised for fast driving. 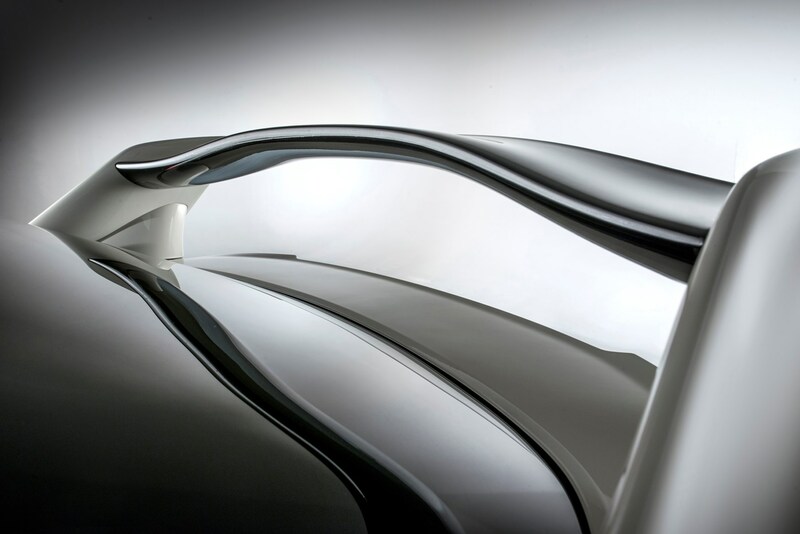 The body features significant aerodynamic development to help the car stick to the road and pass through the air in as slippery a way as possible. That’s the reason for that rather gigantic spoiler. Likely to be popular for UK buyers, a GT pack will be available from launch too, which nets many extras such as automatic lights and wipers, front and rear parking sensors, sat-nav, a stereo upgrade and some styling tweaks for the exterior of the car. You also get a raft of new safety kit such as forward collision warning, lane departure warning and automatic high mean headlights. With deliveries beginning in summer and full specifications expected soon, Parkers will be among the first in the world to drive this exciting new car. Check back soon for the full Honda Civic Type R review. We can’t wait.